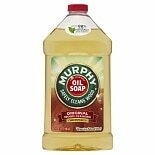 Shop Murphy Original Wood Cleaner Concentrated (32 oz. )32 oz. $479$4 and 79 cents$0.15 / oz.